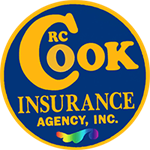 We at RC Cook Insurance very much appreciate your thinking of us for your group health needs. This type of coverage is very specialized and as such we have associated ourselves with Ken Jones, CPA of Leading Edge Insurance and Consulting Services, LLC. Please select the button below to be directed to his contact information.